Something special has happened with me in the past few months. I’ve set out on a new professional path that feels very right, clean, and obvious ~ it’s the journey I’ve been traveling on for a long time and didn’t even realize. I’d like to share this new path with you. For the past few months, I’ve been discovering how to help women who are stressed out, busy professionals transform their bodies…..and their lives. After years of passionate research in psychology, nutrition, and optimal performance, I’ve realized that it’s time to turn this passion into practical knowledge for the real world (AKA skills you can use in your everyday life that help you lose weight, gain energy, and transform your body!). I’m officially launching myself as a Health Coach. Schedule a FREE 45 Minute Consultation NOW! Sometimes women don’t know what to do to change their bodies, but more often it’s that we’re stuck in a rut and don’t know how to get out of it. Ninety-five percent of our behavior occurs out of habit, either unconsciously or in reaction to external demands. That’s why we struggle to make changes that last. Even when the need for change is obvious and your intentions are strong, we often fall short. Also, that the average person makes the same New Year’s resolution ten separate times without success? They don’t have support or accountability. Doctors, dietitians, and other practitioners either don’t have the time or the skills to help people stay motivated and follow through to get a lasting result. People default to their set habits, even when they know those habits make them feel lousy. That’s where health coaches like me come in, to provide the right SYSTEM, SUPPORT, and ACCOUNTABILITY so you can ~ finally ~ make a total body transformation. In order to jumpstart my new calling, my Health Coach training requires me to gift six hour-long “Body Transformation Breakthrough” sessions. This is a great opportunity to see what it would be like to work with me as your Health Coach. For the months of January and February, these sessions are complimentary. Schedule a FREE 45 Minute Consultation NOW! Thank you for helping me contribute to the beauty and power of women everywhere! Are You Risking Diabetes By Sabotaging Your Health? 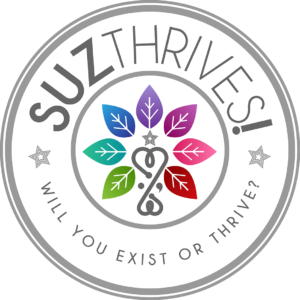 What Would Happen If You’d THRIVE This Spring?